I love that you have Frank Sinatra and Brett Eldridge’s version of classical Christmas songs, they’re so good! 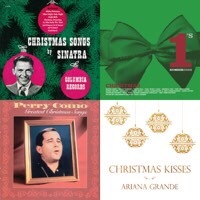 I love your Christmas playlist! Thanks for sharing!!! Thank you! I hadn’t either until recently! !